Heavily inspired by Japanese packaging and maritime culture, Knotty Bubbles is a sculptural pendant lighting chandelier made of hand-blown glass globes tied together with knotted rope. The hand-made nature of the Knotty Bubbles ensures that each is a unique piece. 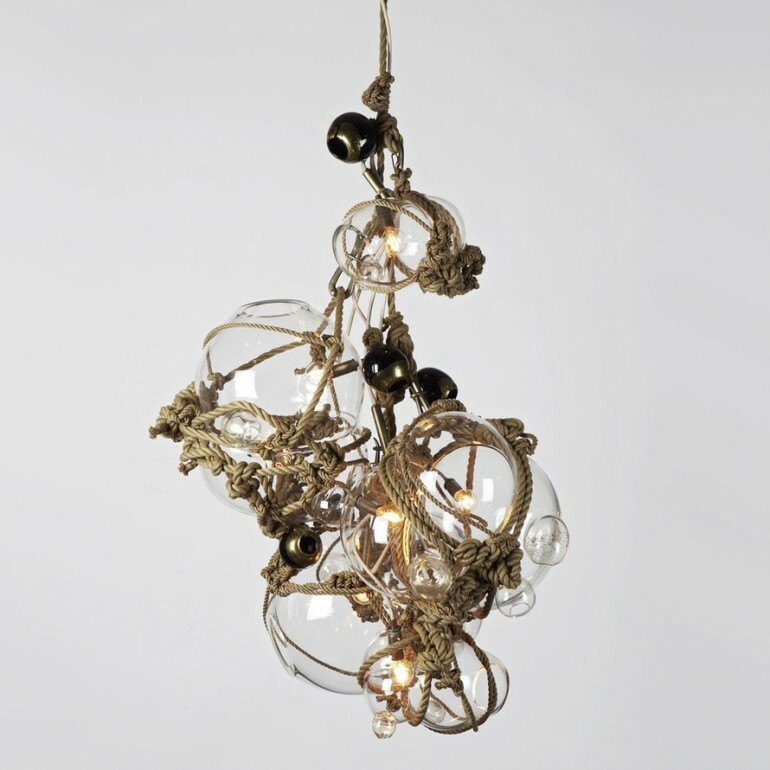 Knotty Bubbles Chandelier C is made up of 3 large bubbles, 2 small bubbles, and 5 barnacles.